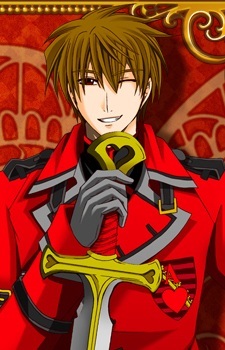 Ace is an original character, though he is possibly based on the Knave of Hearts. He is the Knight of Heart Castle and considered the most skilled swordsman in Wonderland, but has a notoriously bad sense of direction and often forgets how to get to places. Though, seemingly harmless at first, he becomes more devious over time and demonstrates a tendency toward violence. His lost adventures are revealed to be assassinations of people that the Joker or the Clockmaker want him to kill; he helps Julius Monrey collect clocks from people who have died while killing those who get in his way. Ace is one of the first characters to admit that he has no romantic interest in Alice, though that changes shortly after he says it. Despite confessing to love Alice, she notes how he used her a shield when Peter threatened to shoot him. He almost kills Alice because she is changing everyone in Wonderland, but mentions that if he killed her, he couldn't hear her heartbeat anymore, so changes his mind.